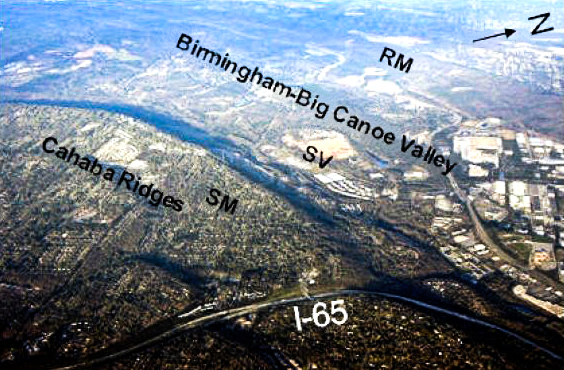 The boundary between the Birmingham-Big Canoe Valley and Cahaba Ridges. RM: Red Mountain, SM: Shades Mountain, SV: Shades Valley. Shades Valley is cut in shales, and Shades Mountain is held up by Pottsville sandstone.